A new approach may help scientists identify potential therapies for SOD1 ALS. 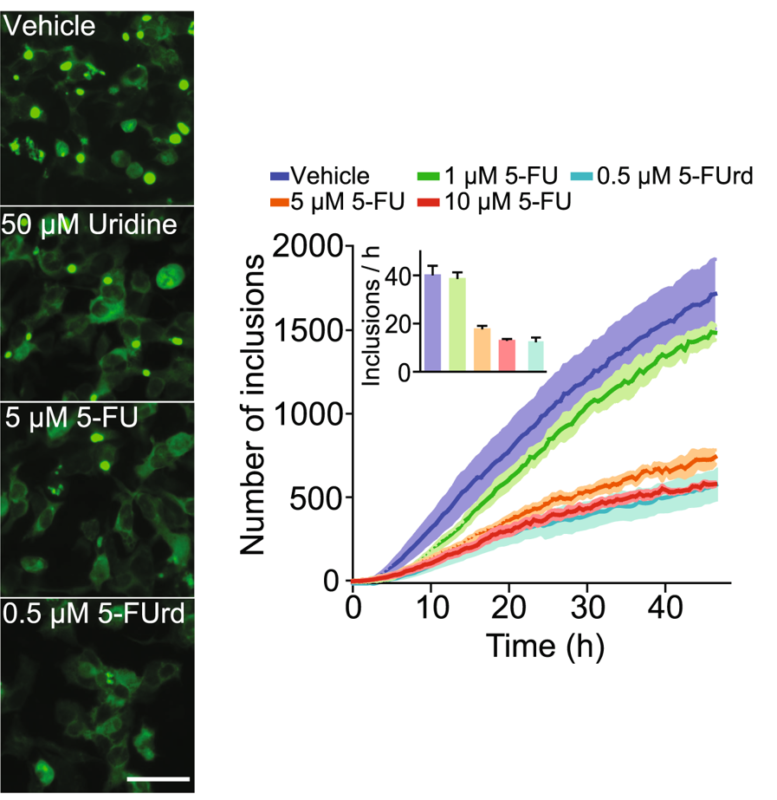 The live cell-based aggregation assay, reported in a study published on October 2018, enables small molecules to be identified that reduce the formation of SOD1 inclusions. The study found that treatment with compounds that resemble the RNA component uracil significantly lowered the number of ALS-linked G85R SOD1 aggregates – at least in the cytoplasm of cultured human cells. One of these pyrimidine derivatives, known as 5-fluorouracil, is currently used in combination with uracil to treat cancer. Together, the results suggest that this fluorescent cell-based assay could be used to discover medicines in high-throughput screens that could be potentially repurposed as treatments for SOD1 ALS. About 1 out of 5 inherited cases of ALS are due to mutations in the SOD1 enzyme (for review, Brown and Al-Chalabi, 2017; see also Zou et al., 2017). The study appeared on October 22 in Scientific Reports. The approach is one of a growing number of “rational” strategies that aims to treat SOD1 ALS by helping the enzyme fold properly, and/or prevent its aggregation. The strategy builds on previous studies, which suggest that the SOD1 amino acid residue tryptophan 32 plays a critical role in the aggregation of the enzyme in the disease (see Taylor et al., 2007; Grad et al., 2011). The approach is being developed by research teams led by University of British Columbia’s Neil Cashman in Vancouver, Canada and University of Wollongong’s Justin Yerbury in Australia. Across the globe, a research team led by Samar Hasnain at the University of Liverpool in England is using a different approach to develop treatments for SOD1 ALS. Their high-throughput screening strategy: identify existing medicines that restore the ability of mutant SOD1 to fold properly by facilitating its dimerization (see May 2018 news; Capper et al., 2018). The approach aims to prevent the formation of small, misfolded oligomers of SOD1 that are thought to be a key source of motor neuron toxicity in the disease (see May 2018 news; Zhu et al., 2018). Stay tuned. To find out about other strategies scientists are developing for SOD1 ALS, check out Potential SOD1 Gene Therapy Right on Target Scientists Say and ALS-Targeted ASOs Make Waves at AAN 2018. Pokrishevsky E, McAlary L, Farrawell NE, Zhao B, Sher M, Yerbury JJ, Cashman NR. Tryptophan 32-mediated SOD1 aggregation is attenuated by pyrimidine-like compounds in living cells. Sci Rep. 2018 Oct 22;8(1):15590. [PubMed]. Capper MJ, Wright GS, Barbieri L, Luchinat E, Mercatelli E, McAlary L, Yerbury JJ, O’Neill PM, Antonyuk SV, Banci L, Hasnain SS. The cysteine-reactive small molecule ebselen facilitates effective SOD1 maturation. Nat Commun. 2018 Apr 27;9(1):1693. [PubMed]. Zhu C, Beck MV, Griffith JD, Deshmukh M, Dokholyan NV. 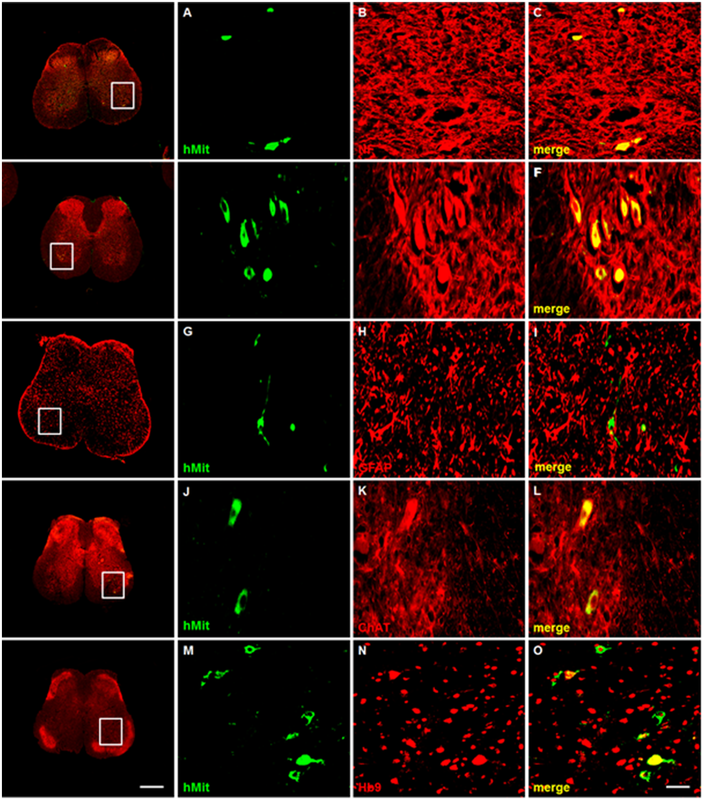 Large SOD1 aggregates, unlike trimeric SOD1, do not impact cell viability in a model of amyotrophic lateral sclerosis. Proc Natl Acad Sci U S A. 2018 Apr 16. [PubMed].